« “Forgotten Hollywood”- Another Studio Anniversary in 2013! 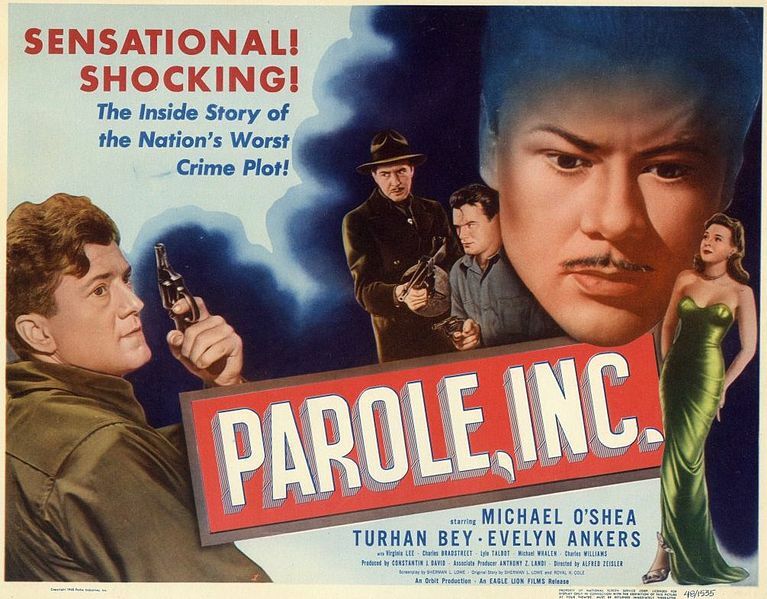 Often cast as suave and sometimes dubious types, he worked opposite Katharine Hepburn, Errol Flynn, John Wayne, and Peter Lorre. 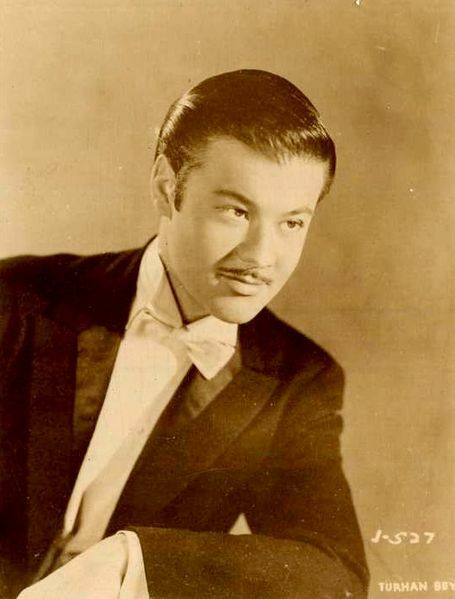 He became an ideal co-star in Technicolor foreign films, many times alongside Maria Montez. They appeared together in Raiders of the Desert, Arabian Nights, White Savage, Ali Baba and the Forty Thieves, Bowery to Broadway, Follow the Boys, and Sudan. 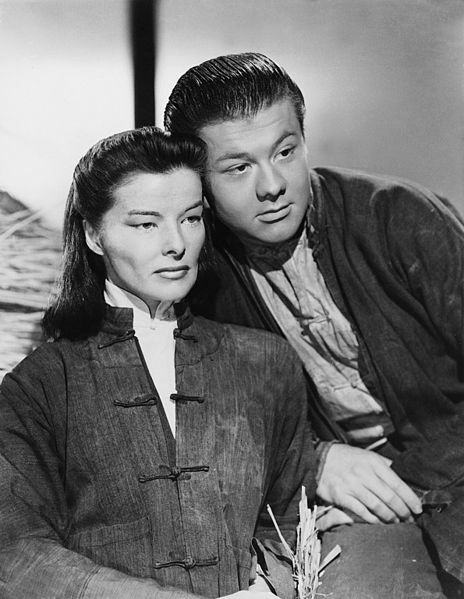 Bey was also fine in horror genre and film noir flicks, including The Mummy’s Tomb, The Mad Ghoul, Footsteps in the Dark, and The Amazing Mr. X. He’s best remembered for co-starring in The Dragon Seed (below left with Kate Hepburn). In 1953, Bey returned to Europe, and pursued careers as a photographer and stage director. Though retired from cinema, his adoring fans dubbed him The Turkish Delight for his dark good looks. He had a brief renaissance in the 1990s, appearing in episodes of the science fiction television series Babylon 5, and a guest starring role in Murder She Wrote. He received his one-and-only accolade, receiving an Emmy nomination when he worked on the small screen. Our Forgotten Hollywood thoughts and prayers go out to Debbie Reynolds, who was hospitalized for a bad reaction to medication. She was admitted for observation, and is set to be released later today. Doctors will advise her further, which may affect future concerts and appearances over the next three months. Debbie Reynolds is 80. GET WELL SOON !! This entry was posted on Wednesday, October 10th, 2012 at 12:16 am	and is filed under Blog by Manny Pacheco. You can follow any comments to this post through the RSS 2.0 feed. Responses are currently closed, but you can trackback from your own site.